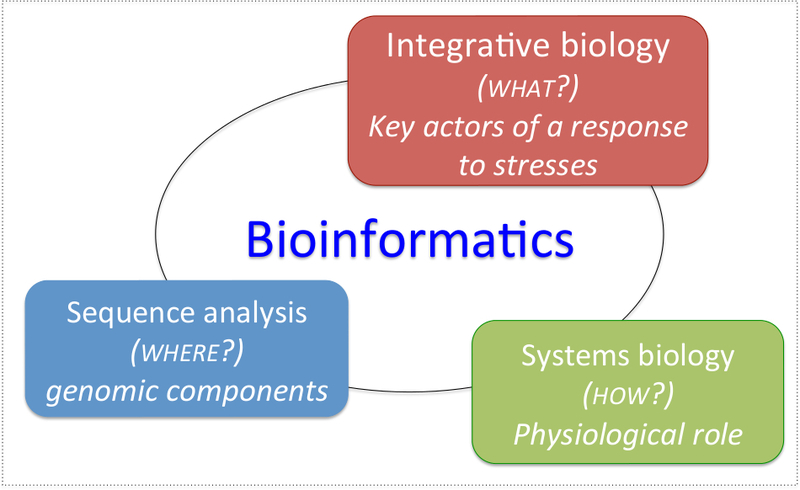 Bioinformatics aims to elucidate which processes are used by a living system to ensure its survival. This is done first by building an exhaustive catalogue of genetic actors involved in living mechanisms, together with their functions. Then, the role of these actors and how they interact together in order to response to a physiological stress has to be modeled rigourously, by elucidating which laws govern the functioning of a living system. The domain of bioinformatics evolves continuously, following the appearance of technological novelties in the observation of biological systems. Nowadays, the field of bioinformatics can be divived into three main domains which strongly interplay. Integrative biology consists in elucidating what are the main actors of a system response. 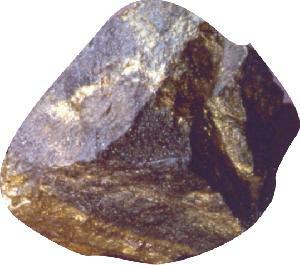 This question is addressed by confronting observations of a single system at several scales. Systems biology consists in elucidating who is involved in the response of a system to a perturbation. This questions is addressed by modelling a system functioning with dynamical systems. Sequence analysis is the basement and the finality of each study. It consists in elucidating where (in the genome) one can find those genomic components which characterize a targeted biological function. 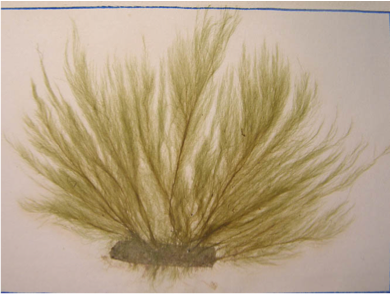 [Roscoff, western France] Why is the brown algae E. siliculosus capable of producing fatty acids that other plants cannot produce? [Antofagasta, Chile] Why is the bacteria A. ferrooxidans capable of decomposing copper ore? More generally, we are interested in the study of species capable of living in extreme environments with good long-term biotechnological potential. Our main issue in bioinformatics is to characterize genetic actors from non model species that control phenotypic answers when challenged by their environment. "Elucidating a complex function" means that several actors are involved in the system response. "Studying non-model species" yields that few background or expert knowledge are available. "Focusing on phenotic answers in extreme environment" suggests a robust adaptation to environment with a gene-based origin. Computational challenge: facing incompleteness ! The main computational challenge is to face lacks and incompleteness in both expert knowledge and experimental observations. Our strategy relies on three main points. We focus on a targeted functional characterization rather than on a complete understanding of the species. We rely on knowledge rather than on amounts of experimentations. We use model-species to validate methods. We use qualitative formal systems for knowledge acquisition and integration. All our methods aim at identifying the space of all models that are consistent with both knowledge and observations. Then we provide tools to navigate in this space in order to investigate which properties are shared by a large proportion of the space. Our researches are divided into three axis, corresponding to the main sub-domains of bioinformatics. Integrative biology: filter regulatory modules. Formalize and integrate in a set of logic constraints both the genetic information and the physiological responses about the studied species. 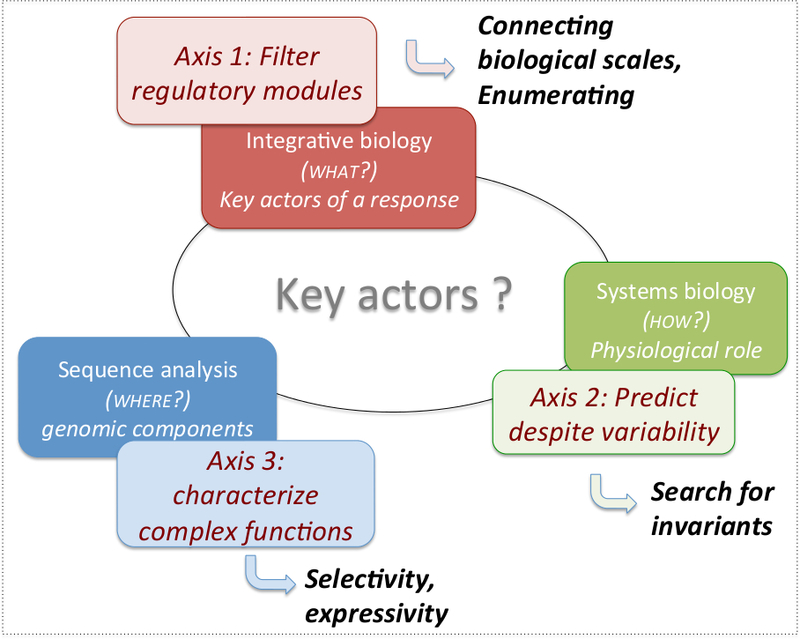 Systems biology: predict despite variability. Investigate the space of admissible dynamical models and exhibit their invariant asymptotic properties. Sequence analysis: characterize complex functions. Identify corresponding genomic products within sequences, by improving selectivity and expressivity.